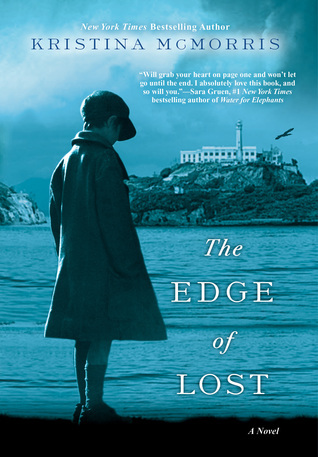 Today I'm featuring The Edge of Lost by Kristina McMorris, borrowed from the library. Fog encircled the island, a strangling grip, as search efforts mounted. In the moonless sky, dark clouds forged a dome over the icy currents of San Francisco Bay. "You two check the docks," shouted Warden Johnston, his voice muffled by rain and howling wind. "We'll take the lighthouse. The rest of you spread out." The foul haze of whiskey and cigarettes was lighter tonight than usual—a shame the same couldn't be said of the mood. Not that this surprised Shanley Keagan. At nearly twelve, he'd performed in enough pubs to understand the patterns in a calendar. Fridays were a sure bet for nice crowds, men eager to spend their fresh wages. They would sing and laugh with old pals, toasting God's grace shining down upon them. If in an especially generous mood, they'd even buy a round for strangers. And when they were hushed down enough to welcome Shan to the "stage"—sometimes a solid platform, more often a crate from the kitchen—they might mumble over the disruption, trading dirty looks, but by the delivery of his second joke, third at most, they were roaring with laughter, as attentive as parishioners at Easter Mass. Page 56: "Until then, Shan would quietly eat his supper in the guarded manner he had long ago mastered." My thoughts: The cover of this book drew me in, and the synopsis and geographical settings sealed the deal. 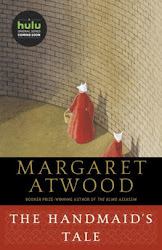 I will be starting this novel in the next week or so. From Goodreads: On a cold night in October 1937, searchlights cut through the darkness around Alcatraz. A prison guard’s only daughter—one of the youngest civilians who lives on the island—has gone missing. Tending the warden’s greenhouse, convicted bank robber Tommy Capello waits anxiously. Only he knows the truth about the little girl’s whereabouts, and that both of their lives depend on the search’s outcome.